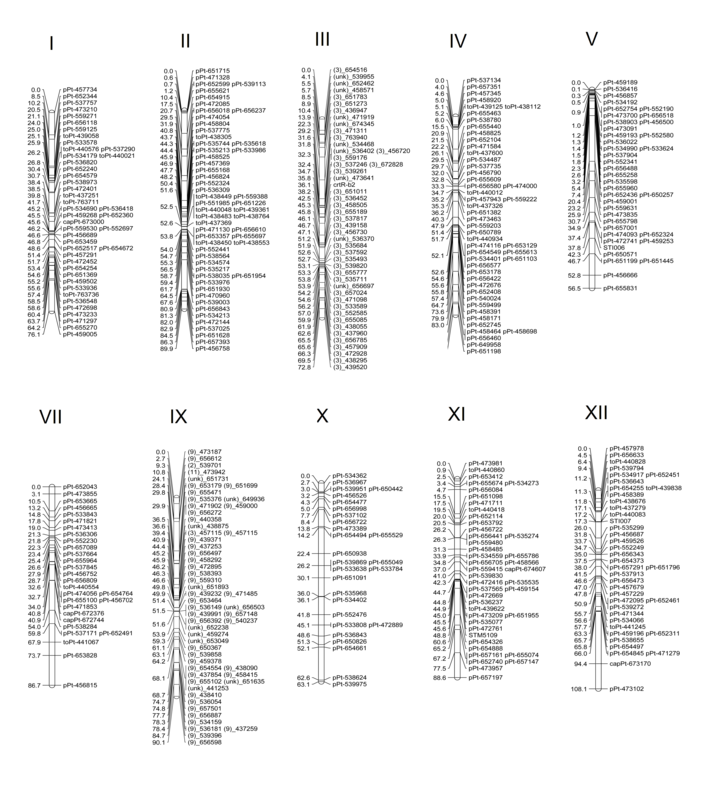 Genome-wide QTL analysis of potato tuber carotenoid content was investigated in populations of Solanum tuberosum Group Phureja that segregate for flesh colour, revealing a novel major QTL on chromosome 9. The carotenoid content of edible plant storage organs is a key nutritional and quality trait. Although the structural genes that encode the biosynthetic enzymes are well characterised, much less is known about the factors that determine overall storage organ content. In this study, genome-wide QTL mapping, in concert with an efficient ‘genetical genomics’ analysis using bulked samples, has been employed to investigate the genetic architecture of potato tuber carotenoid content. 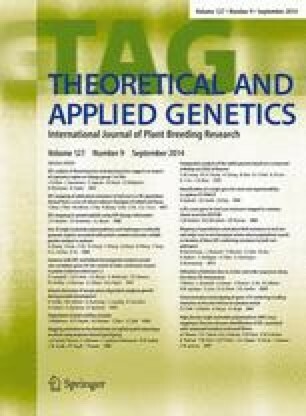 Two diploid populations of Solanum tuberosum Group Phureja were genotyped (AFLP, SSR and DArT markers) and analysed for their tuber carotenoid content over two growing seasons. 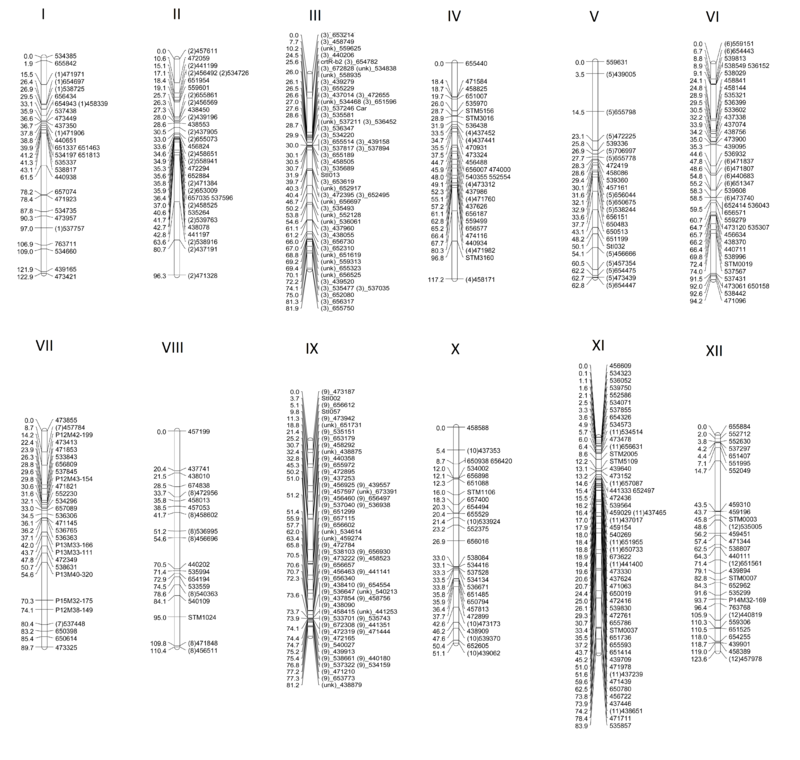 Common to both populations were QTL that explained relatively small proportions of the variation in constituent carotenoids and a major QTL on chromosome 3 explaining up to 71 % of the variation in carotenoid content. In one of the populations (01H15), a second major carotenoid QTL was identified on chromosome 9, explaining up to 20 % of the phenotypic variation. Whereas the major chromosome 3 QTL was likely to be due to an allele of a gene encoding β-carotene hydroxylase, no known carotenoid biosynthetic genes are located in the vicinity of the chromosome 9 QTL. A unique expression profiling strategy using phenotypically distinct bulks comprised individuals with similar carotenoid content provided further support for the QTL mapping to chromosome 9. This study shows the potential of using the potato genome sequence to link genetic maps to data arising from eQTL approaches to enhance the discovery of candidate genes underlying QTLs. The online version of this article (doi: 10.1007/s00122-014-2349-0) contains supplementary material, which is available to authorized users. This work was funded by the Scottish Government Rural and Environmental Research and Analysis Directorate, EU-SOL project number PL 016214 and EU-FP7 METAPRO 244348. The authors would also like to thank Christine Hackett of Biomathematics and Statistics, Scotland for assistance and advice on linkage and QTL analysis.